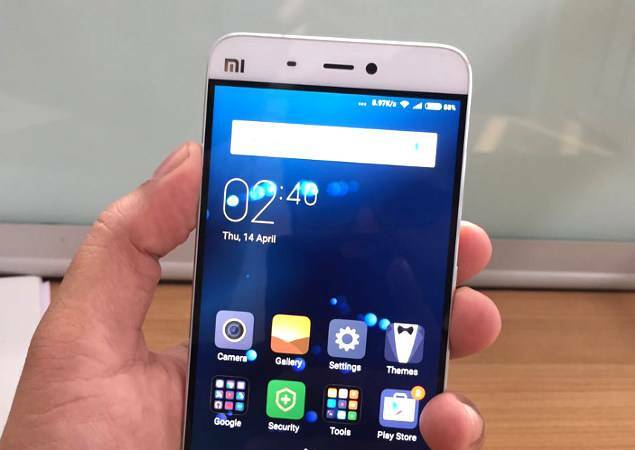 The Xiaomi Mi Max has just been announced and it is going to be a huge one, quite literally! There will be three versions of the handset with slightly different hardware and internal storage capacities, but all versions will sport the same 6.44-inch 1080p display with a ppi count of 342. 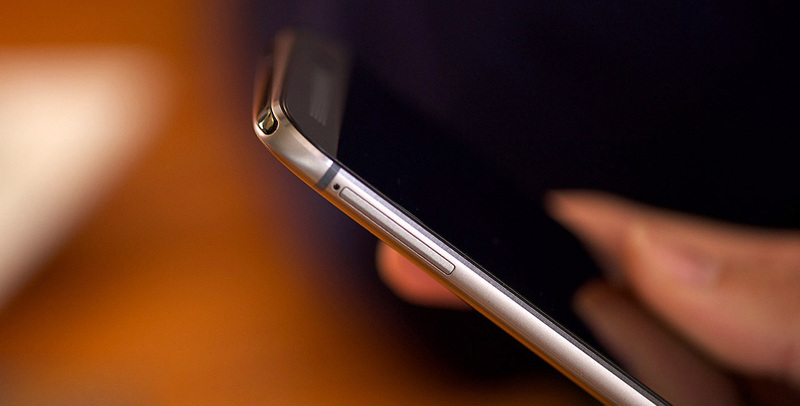 The enormous phone measures in at 173.1mm × 88.3mm × 7.5mm and weighs in at 203 grams. Initially, the device will only be available in China at a price of RMB1499 ($230 approx. ), RMB1699 ($260 approx.) and RMB1999 ($307 approx.) for the respective models. From what we know so far, all three models will share the same 6.44-inch FHD display, 3 gigs of RAM 5mp/16mp front and rear cameras, expandable memory, fingerprint scanner, metal build, USB 2.0 port and the massive 4850 mAh battery. Difference between the model priced at RMB1499 and the one that is priced at RMB1699 lies in the chipset used and the in-built memory. If you are ready to pay the higher price, you can own the 64GB model with the octacore Snapdragon 652 chipset. The cheaper one on the other hand will offer you less internal storage (32GB), as well as the slightly weaker Snapdragon 650 hexacore SoC. Xiaomi is offering the MI Max 128GB version at RMB1999 and this one will come with 4GB of RAM instead of 3GB. The SD 652 SoC will power this one as well while all other specifications will remain the same. The Max will be made available for purchase in China, starting May 17, but no such plans for the US have been declared yet. If you really like the specifications and the "giant" form factor, there is always the option of importing one though. What do you think? Would you like to see the Xiaomi Mi Max being launched in your country or would you give it a pass? If you're in the market for a large-screen phone that can handle your extensive usage then there are two names that you must have come across - the iPhone XS Max and Galaxy Note 9. Both giants offer magnificent super-sized screens, powerful processing and beefed-up specifications. But when it comes down to it, which one do you actually choose? We bring you an iPhone XS Max vs Galaxy Note 9 comparison that might help you make a decision. The iPhone X, with its all-new bold and attractive design, changed the smartphone game when it came out in 2017. And the iPhone XS Max, which is Apple's largest phone to date, just makes it bigger and better. The new handset retains the all-glass look of its predecessor with an edge-to-edge display, surrounded by negligible bezels and a small notch on the top, and a beautiful glass-covered back. The device is bordered by a stainless steel frame that adds to the appeal. The Galaxy Note 9 by no means looks any less elegant. The bezel on each side of the screen remains thin, although the top and bottom chin are a bit wider than the iPhone XS Max, with Samsung still not choosing to adopt the controversial 'notched'-design. The screen merges smoothly with the glass back, giving the phone a curved feel as compared to XS Max's boxed look. The iPhone XS Max houses a dual-camera on the top left of its rear side while the camera on the Galaxy Note 9 is placed centrally. Below it is the fingerprint sensor, something which is missing from the iPhone XS Max altogether. Another differentiating design factor is the presence of a headphone jack on the Galaxy Note 9. Just to give you an idea of the actual dimensions, the iPhone XS Max measures at 157.5 x 77.4 x 7.7 mm and weighs 208 grams while the Galaxy Note 9 has dimensions of 161.9 x 76.4 x 8.8 mm and weighs 201 grams. Both phones are also IP68 water resistant. One thing to note is that both the phones' heavy reliance on glass do leave them vulnerable to damage and it only makes sense that you invest in a good phone case to help prevent that. It would be fair to say that both smartphones sport a magnificent display and it would be tough to pick one over the other. Despite being smaller in size, the iPhone XS Max packs in a larger display size of 6.5-inches. The AMOLED screen has a resolution of 2688 x 1242 pixels and a density of 458 ppi. It has True Tone colour output and supports HDR 10 as well as 3D touch. The Galaxy Note 9 has a 6.4-inch Super AMOLED screen but offers a better resolution of 2960 x 1440 pixels and density of 516 ppi. Boasting of 16 million colours and HDR 10 support, the display is sharp, bright and accurate. The iPhone XS Max comes equipped with a dual-lens rear camera comprising of a 12-megapixel telephoto lens with ƒ/2.4 aperture and a 12-megapixel wide-angle lens with ƒ/1.8 aperture. Both feature optical image stabilisation while supporting 2x optical zoom and 10x digital zoom. Apple's new A12 processor has made the camera system smarter with standout features like Smart HDR, that lets the system capture multiple shots and merge them into one to give better highlights and shadows, and depth control, that lets you change the depth of the field after you've taken the shot. The Galaxy Note 9 also sports a 12-megapixel dual lens system with one snapper having a fixed aperture of ƒ/2.4 while the other one has a variable aperture between ƒ/1.5 and ƒ/2.4. Similar to XS Max, both lenses support optical image stabilisation as well as 2x optical zoom and 10x digital zoom. The Note 9 camera is especially adept at shooting in low-light conditions while the company claims that the AI-enabled features such as the noise reduction algorithm make it impossible to take a bad picture. On the front, the iPhone XS Max has a 7.7-megapixel camera with TrueDepth capabilities used for the Face ID unlocking and Animoji. The Note 9 comes with an 8-megapixel front camera with ƒ/1.5 aperture. Battery life is a bone of contention in any smartphone comparison and its imperative we touch on that. The Galaxy Note 9 has the larger battery of the two, measuring at 4,000 mAh, as compared to the 3,400 mAh battery of iPhone XS Max. Both phones should easily last a day of regular usage. Wireless charging and fast charge are supported on each phone. The iPhone XS Max is powered by the Apple A12 processor, one of the first 7nm chips. Processing capabilities have been Apple's strong point and it carries over to the XS Max which runs as smooth as silk. The Galaxy Note 9 will come with the Snapdragon 845 processor if you're in the US or China while it will run on the Exynos 9810 if you buy it outside of the two countries. To make the performance better, Samsung has included a special water carbon cooling system in Note 9. Talking about RAM, the iPhone XS Max features a 4 GB one while the Note 9 offers two options of 6 GB and 8 GB. But this doesn't necessarily translate to faster speed in the Note 9 since iOS and Android devices manage memory differently. The Galaxy Note 9 comes with Android Oreo 8.1 out of the box and you'll have to wait till January 2019 to update the OS to Android 9 Pie. The device also supports the S Pen. The iPhone XS Max operates on the iOS 12, which features improved notifications and battery management as well as augmented reality support. Both smartphones are one of the most expensive ones. The iPhone XS Max starts at $1,099 (£1,099) for the 64 GB model and goes up to $1,449 (£1,499) for the 512 GB model. The Galaxy Note 9 is comparatively cheaper - $1,000 (£899) for 128 GB model and $1,249 (£1,099) for the 512 GB model. As we can see, it can be really hard to choose between the phones with each device offering excellent specs. It will eventually boil down to what features you prefer and how much you're willing to pay for them. 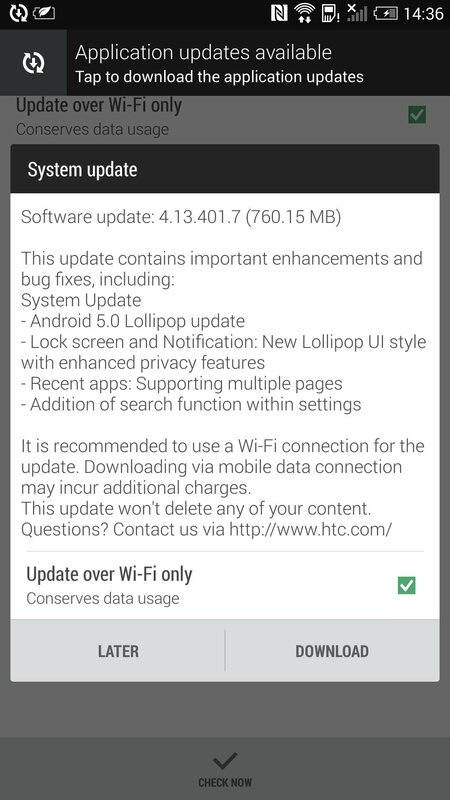 HTC One Max has started receiving its official Android 5.0 Lollipop update. Weighing in at around 760MB, the over-the-air (OTA) update is currently rolling out in select Asian and European countries, including Taiwan, France, Italy, Poland, and Czech Republic. For those who aren't in the know, according to a previously leaked schedule, the One Max was expected to start receiving the update back in March this year. HTC is rumored to be preparing for a new phablet to compete with Samsung's Galaxy Note 4 in the market. HTC is reported to be named the HTC One M8 Max, it has also gone under the code name HTC One Prime, but new reports indicate that the handsets are the same but the final market name is not known yet. HTC One M8 Max, is reported to have an impressive Snapdragon 805 chipset under the hood. This would make it a significant upgrade over the previous HTC One Max, which, disappointingly, only packed a Snapdragon 600 processor. THe display size will be 5.5" which is 0.5" bigger than the original HTC One M8. 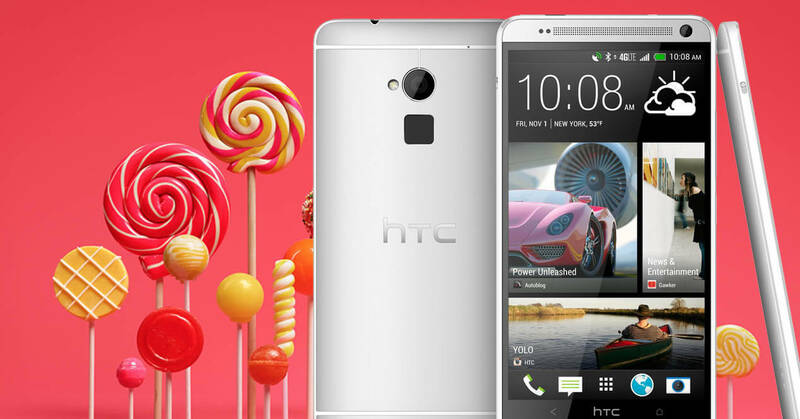 Giving the HTC One M8 Max a larger screen and a faster processor just may make the device more alluring than Samsung's Note 4, especially since the Max will more than likely carry HTC's trademark aluminum casing. The premium feel, coupled with performance that is on-par with Samsung's Note line, should do well to sway consumers to pick an HTC phablet over a Samsung one. When the face recognition feature was unveiled with the Galaxy S8 and Galaxy S8+, the last thing that we expected Samsung to do was introduce it onto a smartphone that costs one-fourth of the S8's retail price tag. However, as it turns out, that has indeed happened and the newly launched J7 Max can currently be unlocked with your face, if you wish so. 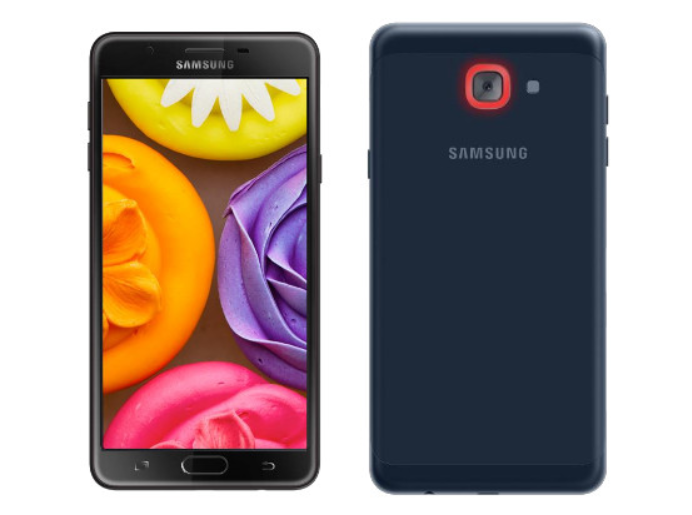 The J7 Max (recently launched in India only), which looks and feels suspiciously similar to the Galaxy J7 (2017), is the only phone in the J series at the moment to have face lock security but it wouldn't be surprising at all if Samsung decides to roll this out to some of the other mid-range devices as well via OTA updates. It is to be noted that the security offered by the face recognition software is far from perfect and certainly not very secure. Nevertheless, it's a fast and fun tool for unlocking your phone. It's nice to see some of Sammy's lower end devices getting some love as well. It wasn't LeTV, but Qualcomm who revealed the upcoming LeTV Le Max Pro as the first Snapdragon 820 powered smartphone. 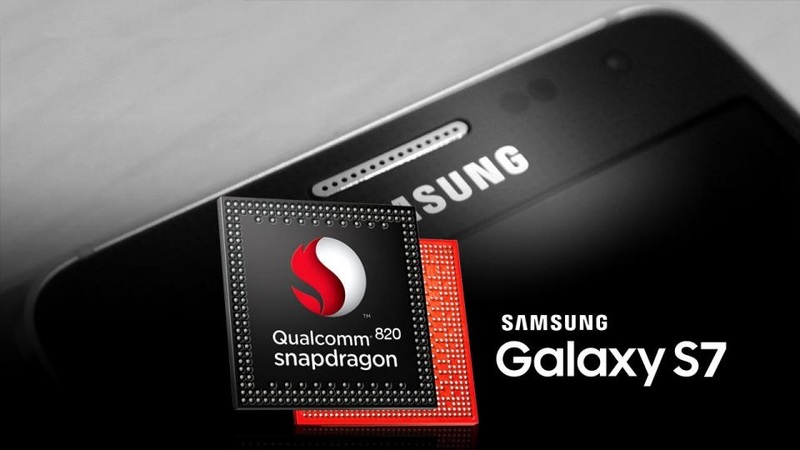 At the Consumer Electronics Show (CES) 2016 in Las Vegas, Qualcomm made two major announcements with the first being an introduction to the automotive Snapdragon 820 chipset, termed "820Am." Apart from helping the driver with real time assistance in navigation and performing other "smartcar" functions, the Snapdragon 820 Am will also enable movement-tracking when supported by appropriate hardware sensors. The 820 is actually a quad core processor wherein last year's 810 was an octacore CPU. There are four Kryo processor cores inside the CPU and each one is clocked at 2.2 GHz by default. Apart from the Snapdragon 820 processor, the LeTV Le Max Pro will be powered by an Adreno 530 GPU and 4GB of RAM. The extremely well-built Le Max Pro will offer three non-expandable storage options; 32GB, 64GB and 128GB. The enormous 6.33 inch 1440p display is beautiful to look at and perfect for consuming media, albeit a little too large for smaller hands. A 21 megapixel camera and an ultrasonic fingerprint scanner further add to the repertoire of the most powerful phone announced so far (theoretically). We will just have to wait and see if such a huge 2k display and the Snapdragon 820 SoC proves to be too much for the 3400 mAh battery housed within.